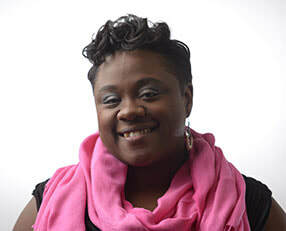 With a great compassion for people, Evangelist Celina Taylor ministers as Upper Room’s Street Outreach Coordinator. She has been a part of the Outreach Ministry for eight years and has served as its leader for the past six years. ​Through this tireless team of soul-winners, many hearts and lives have been radically transformed by the love of God. In addition to her call to evangelism, Celina has served as a youth leader with Power House Youth Ministry for the past twelve years. Her drive to see the next generation reach its greatest potential keeps her committed and focused on mentoring and counseling young people from all walks of life. Lastly, Celina’s love for singing has lead her to Upper Room’s dynamic Music Ministry in which she is a lead vocalist and worshipper. She firmly believes that it is her calling to yield her singing gift to the house of God for the furtherance of God’s kingdom and edification of God’s people.